Jennifer Lawrence has posted on Facebook a new image from the third instalment in The Hunger Games trilogy: The Hunger Games: Mockingjay – Part 2. 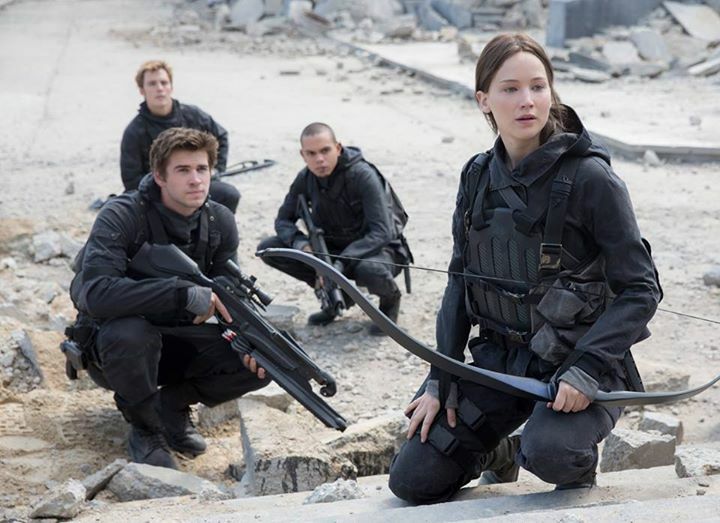 The picture (above) shows Lawrence as Katniss Everdeen, Liam Hemsworth as Gale Hawthorne and Sam Claflin as Finnick preparing for battle against the tyrannical President Snow (Donald Sutherland). Josh Hutcherson also returns as Peeta, alongside Woody Harrelson, Julianne Moore, Elizabeth Banks, and Natalie Dormer. The Hunger Games: Mockingjay – Part 2 opens in cinemas on 20th November 2015.